One way or another, we've all already tasted the sweet feeling of betting and winning some money. However, few of us can actually claim they win more than they lose and that's mainly because emotions tend to prevail over reason and educated decisions. It doesn’t matter if you are placing bets with one of the best betting sites in the UK, you can never rely solely on the luck factor when making football predictions, the same way Madrid shouldn't rely solely on Ronaldo... We've seen it happening thousands of times and it's probably one of the reasons why this sport is so exciting. That "David vs Goliath" type of game, where underdogs go ahead and beat much superior opponents, is one of the most beautiful things this game has to offer, but is also incredibly hard to predict. Remember Alcorcón in 2009? Real Madrid got surprisingly beaten 4-0 by Alcorcón in the Copa del Rey, a third-tier side in Spain at the time. Hence, it is always safer to rely on statistics. Let's take you through these important points that you must always pay heed to. It's very important to think about the variables when making football match predictions. Think about the data you must be using for making these predictions. The first and foremost thing you must refer to is the performance data of both the teams. This data would constitute: goal differential, shots on target, possession percentage, location of shots and shots on goal. When betting on team such as Real Madrid, this is the type of data very easy to gather, so there are no excuses to overlook these numbers and stats before betting. You should also have data about the teams' last 10 matches. Although this might be a very time consuming process, you'd realise it's totally worth it! Gathering all such data would give you a wholesome picture about the teams' true chances of winning in the next match. Goal expectancy is all about simple mathematics and is usually provided by all good football websites. You can also get this data on various online sports forums. Other than that, you must pay attention to the match previews wherein seasoned commentators often provide such goals’ related details. Expected goals tell us whether players should’ve really scored from certain positions or in certain situations. In Cristiano Ronaldo’s case for example, this number has been decreasing a lot over the past months due to his increasing lack of prowess in front of goal. 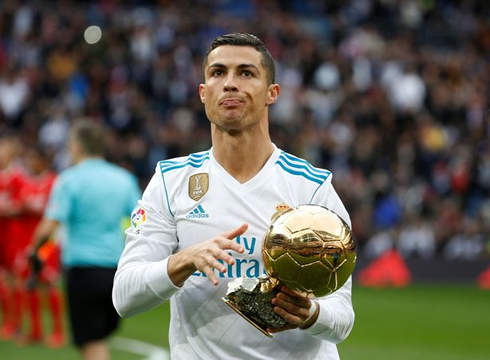 The ball possession rate of the teams must also be taken into consideration and even though a team like Real Madrid usually finishes their games with a rate above way above the 50% mark, it doesn’t always mean they’ve been the better side on the pitch on the night. Statistics reveal that the team playing at home always has an edge over the visitors. In fact, the home team is believed to have a +0.74 goal advantage. Studying the European Leagues’ data over the last 5 seasons revealed that the football clubs normally perform better at home. In fact, they enjoy +0.37 chances at goal when playing on their home surface. 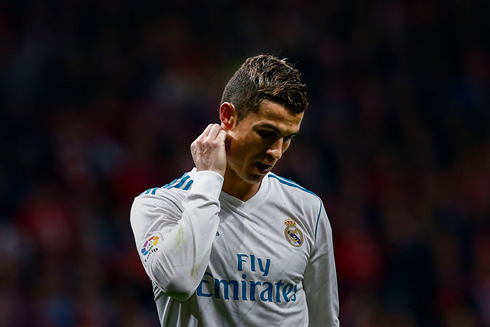 Real Madrid however, have been going against the odds this season in La Liga and have actually performed worse at home than when playing as visitors. Resultantly, you can easily apply this data in calculation of the betting odds. Home ground can be a big factor in helping a team win matches against stronger opponents. This is the most commonly available data and statistic for the football matches. Regardless, goals can always be random. The goal differential data when combined with the performance of the two teams in their previous matches can help you make better predictions. You must always remember that football teams are only as strong as their weakest links. Hence, you must stay constantly updated about the starting players of the playing teams. If you hear that Zidane might end up resting a player like Ronaldo or Modric prior to a game you’re planning on betting, that’s something you should take very seriously. The best players, in their best physical shape and form can greatly strengthen their teams. Cristiano Ronaldo next game for Real Madrid is on January 21 of 2018 against Deportivo de la Coruña. You can watch Juventus live stream, Real Madrid vs Deportivo, Brighton vs Chelsea, Burnley vs Manchester United, Arsenal vs Crystal Palace, and Manchester City vs Newcastle, all matches provided from our football live game pages.